Enjoy a 4-hour private walking tour in Berlin and discover the German capital with a personal guide. Since its founding in the 13th century, Berlin has been the capital of an empire, the center of an artistic and sexual revolution, a fascist dictatorship, torn in two, and finally brought back together. On this tour, learn about the city's rich history as you see highlights like the Brandenburg Gate, Hitler's Bunker, and a section of the Berlin Wall. 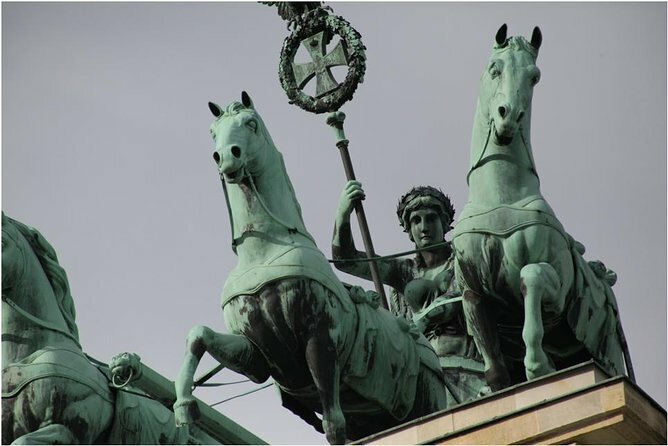 Choose a time that best works for your schedule, then meet your private guide at your centrally located Berlin hotel to embark on this half-day tour of the German capital city's history and highlights. Discover how a small town built on a swamp became one of the most powerful cities in the world as you trace 800 years of history while walking to the city's main sights. Get to know all about Berlin at your own pace; your personal guide will tailor the tour to your liking. After beginning the tour in Berlin's historic city center, head to the UNESCO World Heritage Site Museum Island to see neo-classical architecture and learn about the Prussians’ ambition to turn Berlin into a world city. Walk the entire length of the former royal boulevard Unter den Linden, passing by Germany’s central war memorial, the site of the Nazi’s first book burning at Bebelplatz, and the former Soviet Embassy. Snap a photo in front of the Brandenburg Gate, originally built as an entrance to the city for the Prussian kings. Walk through the gate to the German parliament building–the Reichstag–before visiting the Memorial to the Murdered Jews of Europe. Relax over a cup of coffee at your own expense before moving on to the site of Adolf Hitler’s bunker, where the dictator committed suicide just before the end of WWII. Learn about the fallout from the Second World War, which eventually led to the division of Germany into two separate states. See remnants of this division at the former Berlin Wall and Checkpoint Charlie. The tour ends at what's considered to be Berlin’s most beautiful square, the Gendarmenmarkt, with its twin 18th-century French and German cathedrals and its 19th-century neo-classical Concert House. Departure Time: This is a private tour, please choose a departure time that suits you. We recommend starting your tour between 8am and 3pm.